It is hard to imagine a piece of gear as mundane as an ice axe approaching something like celebrity status. But if anything has it must be the Black Diamond Raven ice axe family. They are, I guess, the VolksWagen of ice axes. You find them everywhere. They do the job without any fuss or without trying to show off and they comes in enough different models to sit most budgets and needs. The odds are, in fact, that if you go into a store to look for a beginner’s ice axe, then you will probably be pointed in the direction of a Raven or Raven Pro. The first thing to note about them is that they are about as close to being all purpose as you will find. It would be wrong to think that one axe could do everything, which is why lots of climbers have a whole variety for different purposes such as walking, alpine climbing or technical climbing, but this family of tools fit nicely in the middle of the range and can be used for a wide variety of purposes from ski touring to relatively steep ascents with a few bits of really steep ice thrown in. They have relatively straight shafts, which means they will plunge in easily and they also have a good shaped head. The pick is also relatively level, which makes a quite suitable for self-arresting, though it is not quite angled enough for really serious ice climbing (even if you forget about its general shape, which rules it out for that anyhow). The adze (or back of the head) is wide enough for you to do a fair bit of chopping without being a huge unwieldy shovel. They come in a length that will accommodate most people’s height as well as climbing style (if you want to read more I’ve written a bit about sizing an ice axe). But in short the main Raven model weighs 437grams (15 oz) and is available from 55cm to 90 cm long. Since most mountaineers and climbers will be looking at something in the range of 65cm anyway for a nice balanced axe, this clearly gives more than enough choice for most people for most activities from classic steep hill walking to ski mountaineering. The other great thing about the Raven family is that they also come in a range of different prices and with different technical characteristics and weights so that there is something for those people who are on a budget but also for those who are willing to pay a bit more for something that offers slightly better performance or lower weight. The Raven Pro is even lighter at 362 grams for the shortest model (50cm long) and these go up to 75cm. They are really intended for use on steeper ice and snow than the ordinary Raven. They are both made of aluminium for lightness and are B-rated axes. If you want to go even more ultra-lightweight then there is always the Raven Ultra, which is a very light, quite short axe with a more aggressive pick. Most people I’ve spoken to who own these are really happy with them and use them all the time. They are not especially fancy, but just well made tools that offer reasonably good value for money. 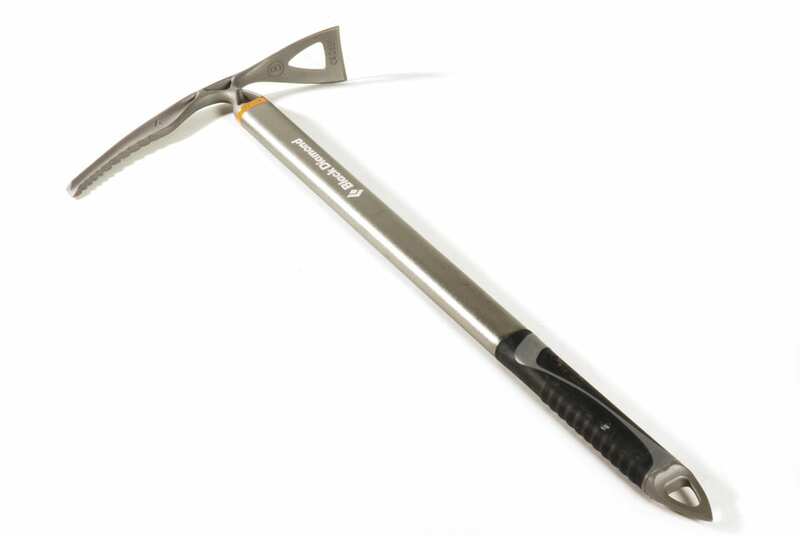 Speaking of money, you should shop around to find the cheapest Raven ice axe. They usually retail for about $79 but you can often find discounted ice axes on sale so be sure to check out the various online offerings. The Raven is a long way from being the only ice axe out there. I’m not even sure I would say it is the best ice axe available. But it is a good balance between performance and price and should give many years of happy service to both beginners and expert mountaineers alike.